This is in reference to the latest revision to the Clinton story – her claim that all of her grandparents came to America as immigrants. In fact (if Hillary will forgive the word), two of her grandparents were born in Illinois, one in Pennsylvania, and the fourth, brought here as a child, is the only immigrant. As so often with Hillary, one is struck by the sheer strangeness of the lie: What’s the point of it? Is she try to qualify for amnesty under the DREAM act? Is the first-female-president thing going nowhere so she’s shooting for the first Undocumented President? Even as pandering, it’s hard to see the logic of it: granted that the overwhelming majority of Illegal-Americans going to the polls will be voting Democrat, it surely can’t be that high a percentage that it’s worth White-Outting the family birth certificates and replacing “State of Illinois” with “República de Colombia”, is it? ” Her grandparents always spoke about the immigrant experience and, as a result she has always thought of them as immigrants,” a Clinton spokesman told BuzzFeed News. Could happen to anyone. Just like Chelsea’s little girl – when she’s running for President in 2040 – will remember her grandmother always speaking about the sniper experience and as a result always thought of Gran’ma Hill as a sniper. ” An abscess of anger seems to gnaw at Hillary Clinton, but the reasons for her resentments remain unclear. The world’s oldest party, which governed the nation during two world wars and is the primary architect of America’s regulatory and redistributive state, is eager to give her its presidential nomination, in recognition of . . . what? The party, adrift in identity politics, clings, as shipwrecked sailors do to floating debris, to this odd feminist heroine. Wafted into the upper reaches of American politics by stolid participation in her eventful marriage to a serial philanderer, her performance in governance has been defined by three failures. ” An internal 2011 State Department cable, obtained by Fox News, shows that then-Secretary of State Hillary Clinton’s office told employees not to use personal email for security reasons — while at the same time, Clinton conducted all government business on a private account. Top Clinton Aides Used Secret Email Accounts At State Dept. ” Hillary Clinton is defending her use of a private email address, hosted at ClintonEmail.com, to conduct official State Department business by claiming that her emails were captured by official @state.gov accounts that other agency employees were instructed to use to contact her. But according to a knowledgeable source, at least two other top Clinton aides also used private email accounts to conduct government business—placing their official communications outside the scope of federal record-keeping regulations. Read our stories on Hillary’s breaking of the law here and here and read more on her aides doing the same here at Gawker. ” Monday night, it was revealed that Hillary Clinton used a personal email account the entire time she served as Secretary of State. Not only does conducting official business with a private account violate federal law, it raises a host of concerns ranging from whether or not her communications were secure from foreign intelligence services, to whether we’ll be able to piece together an accurate historical record. Given Hillary Clinton’s legal troubles in the 1990s relating to keeping track of documents, it seems implausible she was not aware of the illegality of what was going on. But one aspect of this story that deserves special focus is what this revelation about the former secretary of state’s peculiar email habits tell us about how thorough the investigations of Benghazi have been to date. Indeed, the notion that investigators did not have access to Hillary Clinton’s email would suggest that investigators lacked crucial information. And yet, the media largely bought the spin from Clinton’s camp and the White House that GOP investigations into Benghazi had crossed into overreach. Journalists even propagated a cutesy social media gimmick to make this point. However, the media’s obvious desire to attack the credibility of the GOP Benghazi inquiries has always been far from justified. When the House Intelligence Committee released a report last November the media eagerly spun the report as the GOP “debunking a series of persistent allegations hinting at dark conspiracies.” Granted, there are a fair number of questions regarding the competence of the congressional Republicans’ investigations into Benghazi. But it’s also true that the media misread the report badly, and did not dwell on the fact that report completely discredited the New York Times’ faulty claim that “no evidence that Al Qaeda or other international terrorist groups had any role in the assault.” Unsurprisingly, the media did not dwell on their own failures and continued to cover Benghazi as domestic partisan debate rather than take responsibility for ascertaining how four Americans, including an ambassador, died in a terror attack and whether or not there was any political cover-up. ” Next to the Iranian nuclear program or Putin’s neo-Soviet expansionism, the question of whether NBC News “managing editor” Brian Williams is a self-aggrandizing liar or a mentally ill fantasist is a relatively minor matter, notwithstanding that he is the very embodiment of the strange antiquated assumptions of network news – that because a chap looks like a 1950s department-store mannequin he’s your go-to guy for economic analysis and foreign policy. As to the subject at issue, my general view of “personal stories” (including my own) was summed up by Mel Brooks on stage a few decades back reminiscing about his life. After one especially uproarious anecdote, he said, “I swear every word is true. Well, no. The mildly funny stuff is true. The mezzo-mezzo stuff is mostly true. But the really funny stuff is entirely invented.” That formula applies to the dramatic stuff, too. As you tell a story over the years, as Brian Williams did with his RPG-hit-chopper shtick, it gets too honed, too sharp. Then too there is the phenomenon that creeps with age – when anecdotes you once told about other people mutate into anecdotes you tell about yourself. The first example of this I encountered, back when I was very young, was the great Royal Ballet choreographer Sir Frederick Ashton, who regaled me with a string of fascinating personal stories, all of which I discovered, upon returning home, had happened to Diaghilev or Massine or Ninette de Valois. But again: I can understand that. You were there. You were part of the scene. You knew the people. You laughed and smoked and danced with them. Why couldn’t it have been you who got off the devastatingly witty retort? But I find it harder to believe that a man can “accidentally” claim his helicopter has been hit by an RPG. You have to feel that to know what it’s like. And, if you’ve never felt it, how can you “accidentally” go around describing it to David Letterman on TV and Alec Baldwin on radio for years on end? ” A special House committee looking into the deadly Benghazi, Libya, attacks in 2012 will interview a host of current and former high-ranking Obama administration officials as it speeds the pace of the investigation. The panel’s chairman, Rep. Trey Gowdy, R-S.C., said Friday he intends to interview 20 high-ranking officials, including former Defense Secretary Leon Panetta and former CIA director David Petraeus, as well as White House chief of staff Denis McDonough and national security adviser Susan Rice. ” Clifton went on America’s Newsroom today to explain the misleading government numbers. ” You know you’re in trouble when Tom Brokaw is out for your blood. 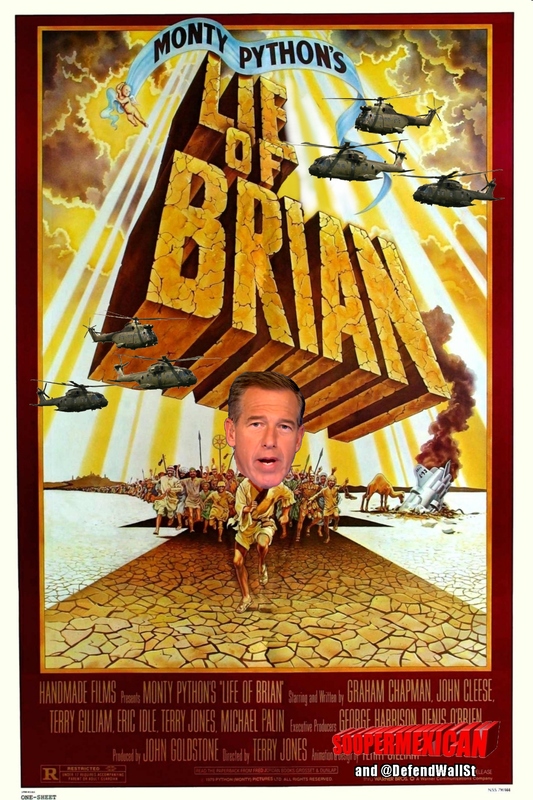 NBC’s most revered journalist is furious that Brian Williams is still in the anchor chair after he sheepishly admitted he hadn’t traveled on a helicopter hit by enemy fire. ” “NBC bosses don’t understand how serious this is. Nobody in a leadership position is talking to the troops. Nobody has addressed it,” the source said. “ He’s an a–hole,” he fumed. “He’s not a journalist. He’s a reader. “ Oh, the fireworks that are going off inside,” he said. “It’s embarrassing. He’s the face on NBC. 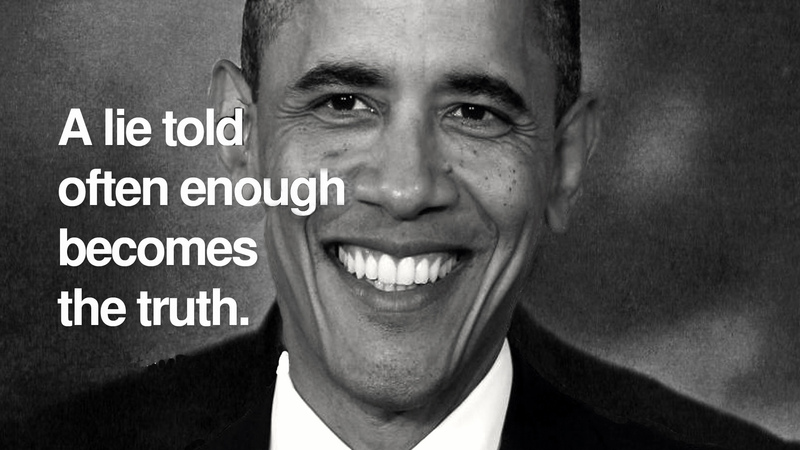 He’s a liar. Read more and note that Williams told a similar tale about his experiences in New Orleans covering Hurricane Katrina that has also been called into question . ” NBC Nightly News anchor Brian Williams admitted Wednesday he was not aboard a helicopter hit and forced down by RPG fire during the invasion of Iraq in 2003, a false claim that has been repeated by the network for years. Williams repeated the claim Friday during NBC’s coverage of a public tribute at a New York Rangers hockey game for a retired soldier that had provided ground security for the grounded helicopters, a game to which Williams accompanied him. In an interview with Stars and Stripes, he said he had misremembered the events and was sorry. Read more about his “mistaken recollection” … shades of Hillary’s Bosnian sniper fire … Lies , all lies . If he can’t tell the difference between being shot down and landing safely why should his judgement be trusted about anything ? ” Here’s something that many Americans — including some of the smartest and most educated among us — don’t know: The official unemployment rate, as reported by the U.S. Department of Labor, is extremely misleading. Right now, we’re hearing much celebrating from the media, the White House and Wall Street about how unemployment is “down” to 5.6%. The cheerleading for this number is deafening. The media loves a comeback story, the White House wants to score political points and Wall Street would like you to stay in the market. None of them will tell you this: If you, a family member or anyone is unemployed and has subsequently given up on finding a job — if you are so hopelessly out of work that you’ve stopped looking over the past four weeks — the Department of Labor doesn’t count you as unemployed. That’s right. While you are as unemployed as one can possibly be, and tragically may never find work again, you are not counted in the figure we see relentlessly in the news — currently 5.6%. Right now, as many as 30 million Americans are either out of work or severely underemployed. 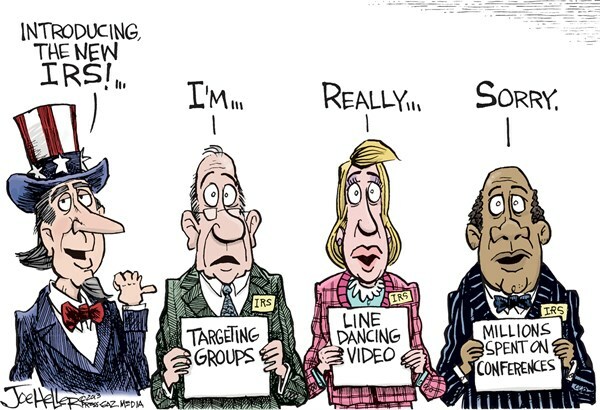 Trust me, the vast majority of them aren’t throwing parties to toast “falling” unemployment. There’s another reason why the official rate is misleading. Say you’re an out-of-work engineer or healthcare worker or construction worker or retail manager: If you perform a minimum of one hour of work in a week and are paid at least $20 — maybe someone pays you to mow their lawn — you’re not officially counted as unemployed in the much-reported 5.6%. Few Americans know this. Yet another figure of importance that doesn’t get much press: those working part time but wanting full-time work. If you have a degree in chemistry or math and are working 10 hours part time because it is all you can find — in other words, you are severely underemployed — the government doesn’t count you in the 5.6%. Few Americans know this. There’s no other way to say this. 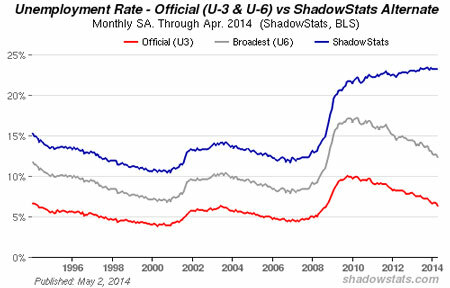 The official unemployment rate, which cruelly overlooks the suffering of the long-term and often permanently unemployed as well as the depressingly underemployed, amounts to a Big Lie. And it’s a lie that has consequences, because the great American dream is to have a good job, and in recent years, America has failed to deliver that dream more than it has at any time in recent memory. A good job is an individual’s primary identity, their very self-worth, their dignity — it establishes the relationship they have with their friends, community and country. When we fail to deliver a good job that fits a citizen’s talents, training and experience, we are failing the great American dream. Gallup defines a good job as 30+ hours per week for an organization that provides a regular paycheck. Right now, the U.S. is delivering at a staggeringly low rate of 44%, which is the number of full-time jobs as a percent of the adult population, 18 years and older. We need that to be 50% and a bare minimum of 10 million new, good jobs to replenish America’s middle class. Hillary’s Inevitability Is Fading … What Difference Does It Make ? ” In just the past month, when no one with a real life was thinking about the 2016 presidential race, Hillary Clinton’s massive poll lead over every single potential Republican opponent has collapsed. In a hypothetical match-up, her margin over Jeb Bush, the closest GOP president, was cut in half to eight points this month, 45%-37%, according to Zogby. That’s down from a whopping 15-point lead in December. Similarly, the former first lady’s 15-point margin over Mitt Romney slid to nine points, 46%-37%. Still sizable margins, to be sure. But trending uncomfortably in the wrong direction even before an announcement, as Clinton goes to ground to plot her campaign, assemble staff and devise a credible rationale other than gender for why Americans should let her move back into the White House, this time in the West Wing. Most Democrats won’t take much convincing. She’s her party’s overwhelming heir apparent, which actually hasn’t worked out too well in recent U.S. political history for Al Gore, John McCain, Romney or Hillary herself in 2008. But she’ll need to convince significant numbers of independents and even Republicans on a shifting political landscape that’s been trending toward conservative states, both in the census and recent elections. Even with veterans of the president’s winning campaigns jumping over for Obama 3.0, that could be a hefty challenge given Clinton’s quarter-century of public controversies; HillaryCare’s website didn’t fail, but that’s because she didn’t have one. Her brief Senate career was highlighted by nothing really. ” The IRS is considering its own temporary shutdown due to recent budget cuts enacted by Congress, its chief said Thursday. I think we can all agree that , given recent reports , that the IRS has plenty of room for belt-tightening . ” The integrity of the Orlando Police Department is being questioned after the agency purposely withheld evidence from the State Attorney’s Office against one of their officers. The agency withheld body cam video that showed Orlando Police Officer, William Escobar, punching and kicking a military police officer while he was already handcuffed and on the ground following an illegal arrest. It all started in March 2014, when police responded to a call about a possible fight between six individuals. The first paragraph of the police report showed that officers already had a preconceived notion of who they thought they would be dealing with when they responded to the area by stating they knew criminals lived in the area. The officers also claimed that when they arrived on the scene and stepped out of the car, they could smell marijuana in the air. Officer Williams stated, “I am familiar with the odor of cannabis due to my training and experience in street level drugs.” It was later determined there wasn’t any marijuana on the scene. While arresting Sheals, officers reported that Refus Jerome Holloway “charged” officers while his hands were in his pockets. Further in the report, officers contradicted themselves and stated that Holloway’s hands were outside his pockets because he was holding up his military officer ID. Witnesses testified that Holloway did in fact have his hands up, attempting to show the officers his ID. Holloway was asking the officers why his cousin was being arrested. Officer Williams stated that he took Holloway’s actions as threatening, drew his weapon, and pointed it at Holloway. As Holloway was telling the officer to look at his ID, Officer Williams delivered a front kick to Holloway’s abdomen, at which point Holloway caught the officer’s foot. Holloway immediately released the officer’s foot and began to back away once he realized the officer had lost his balance. Officer Williams then emptied an entire can of OC spray in Holloway’s face. As Holloway fell to the ground, he was still sprayed. An innocent bystander was also hit in his face by the spray, causing him to fall to the ground as well. Holloway was then handcuffed and punched by Officer Escobar. Officer Escobar punched Holloway in the back of the head while he was handcuffed and face-down in the dirt. Officer Escobar said, “I am a cop, you understand you stupid mother f***er.” The officer also kicked Holloway. ” This video, flagged by invaluable Twitter resource and Ace of Spades Decision Desk entrepreneur John Ekdahl, is among the most infuriating things you will see today. ” Rep. Nancy Pelosi, D-Calif., in a 2009 press conference, praised MIT health economist Jonathan Gruber’s work on the Affordable Care Act, advising that reporters inspect his findings on the topic. Today — on Nov. 13, 2014 — Pelosi told reporters that she “didn’t know who [Gruber] is,” adding that the noted economist didn’t help congressional Democrats draft the massive healthcare law. “ I don’t know who he is. He didn’t help write our bill. And, so, with all due respect to your question, you have a person who wasn’t writing our bill, commenting on what was going on when we were writing the bill who has withdrawn – withdrawn some of the statements that he made,” the House minority leader said during a press conference Thursday.